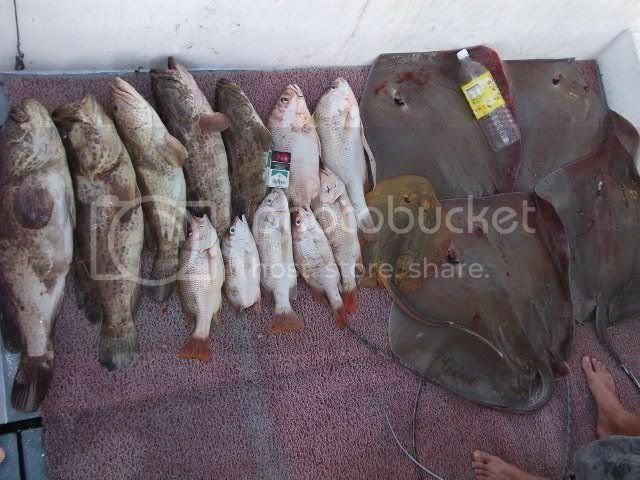 Catches from out the sea like boat fishing, kayaks and kelongs. That's quite a good catch and seems everyone has something to show for. I'm sure ilurbtambans has learnt a valuable lesson on this trip he will not forget, and this is one of the reasons why we shouldn't start off we pricey rod for fishing. And what's the story on the snapper that lost its tail? Alright ... I like this charter ! Looking around for night charter and this one fits the bill. Clean nice boat and what better ... interesting CR. He is on top of my want to try out list ! Yes ... I hate the sun ! Very impressive catch and I am sure this is gonna be a very memorable trip for Tammy. I am very confident to say he will not forget about this trip. A very valuable lesson though a bit expensive lesson learnt. lol ! Golden rule regardless of where you fish ... watch the angle of your rod tip ! Start looking for a new rod ... go back and have your revenge ! 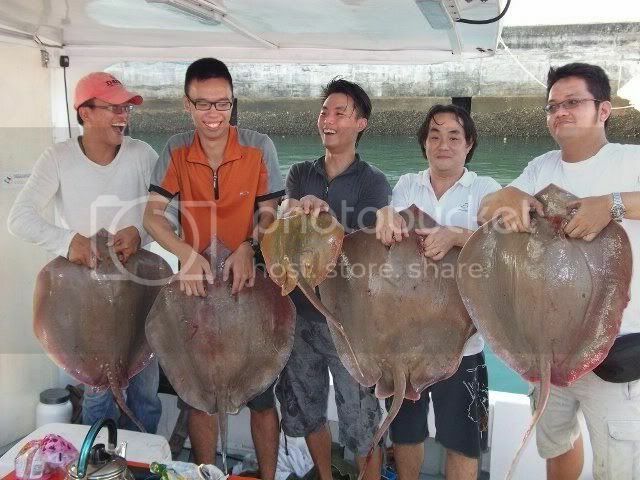 I started the ball rolling by landing a 7kg ray, followed by the organizer with a 11 kg ray. It was non stop bites till 5 + am. Not true. The more expensive rod will be able to withstand the big bend while the cheaper rod may not due to the material used. Congrats Tamban on your catch. The mighty pulling force of a biggie combined with a steep strike angle ... clash of the titans ... either one got to give way. TALK IS CHEAP, PICTURES PLEASE!